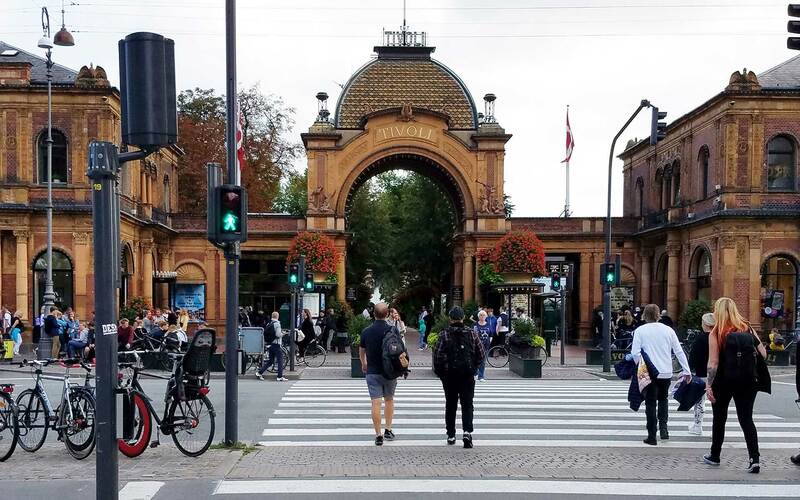 Tuesday, September 4, 2018 at 2:35 p.m.
A Spokane community delegation will depart from home this week to head to Scandinavia for a knowledge exchange trip focused on sustainable infrastructure, the green economy, and smart cities. This blog space will serve as a travelogue of sorts, where I will share images and information to provide a greater audience with access to what we’ll be learning. The knowledge tour gets under way on Sunday, Sept. 9, and continues through Friday, Sept. 14, and you can see daily updates right here. 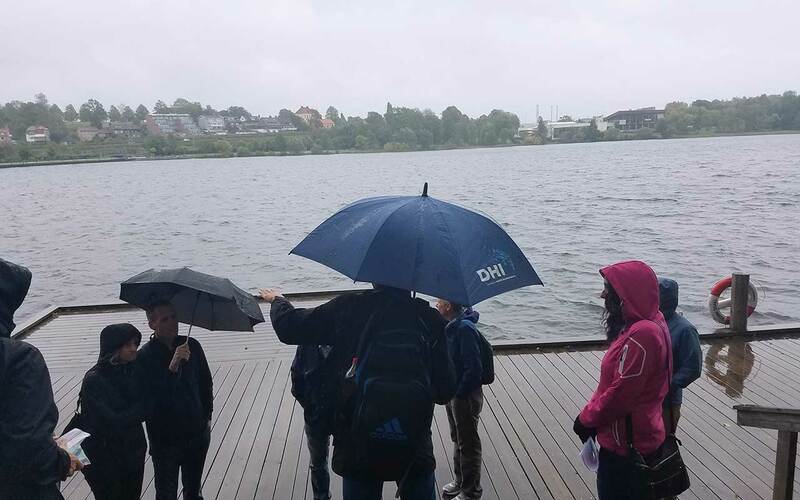 We will visit locations in Demark and Sweden. The Scandinavians are recognized for their focus on sustainable development and overall green approach to everyday life, and we expect to see things that will generate ideas for our own community. You probably need a little background. The City of Spokane is the host governmental agency for the trip, and three of our elected leaders will attend along with a few City staff members. 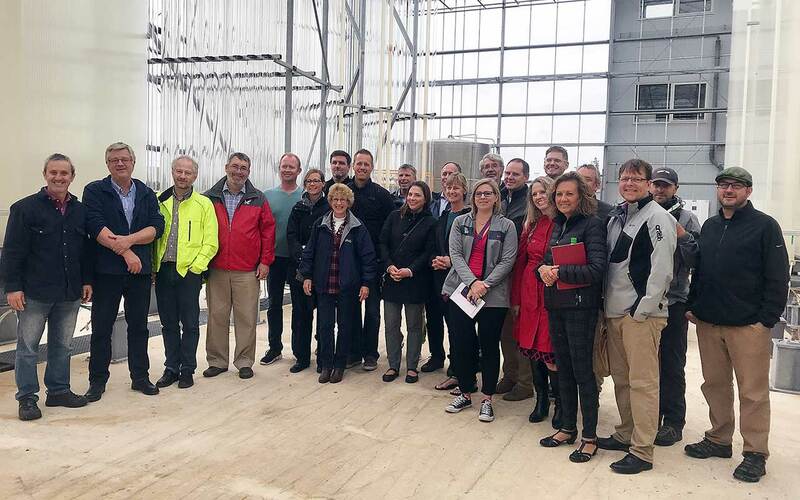 The group also includes a couple of state legislators, representatives from higher education, local businesses, and nongovernmental agencies. The trip is guided by i-Sustain, an urban strategy firm that specializes in researching and documenting global best practices in urban sustainability. Let’s get the particulars out of the way. Government participants on the trip received scholarships to attend from the private ScanDesign Foundation, and business representatives are paying their own way. Spokane was selected for the trip because of its leadership and innovation on smart green actions, including the $340 million investment in improving the health of the Spokane River, green energy investments, and more. Sustainability capitalizes on the triple bottom line and is an important direction to guide Spokane’s future growth to outcompete less sustainable and less resourced cities in the Intermountain West. Provide a shared experience to allow for the development of a common vision for the Spokane region’s emergence in the green economy—a critical growth strategy for our community. Explore solutions to infrastructure and environmental challenges that could be adapted in Spokane. Allow for expanded thinking around green business sectors and circular economy strategies that are well-suited for Spokane. Read the full Trip Purpose. Whenever you travel to someplace new, you notice differences. 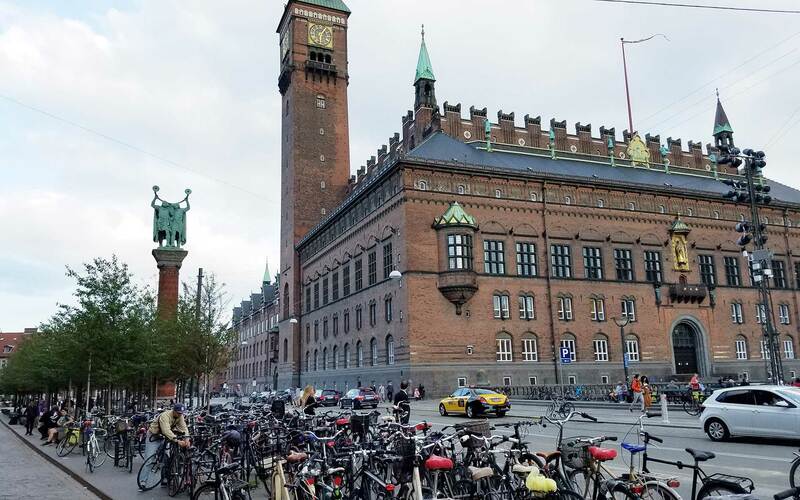 The biking culture in the City of Copenhagen is definitely one of the immediate things that strikes you. Yet, so do the skinny suit pants worn by the Danish men and the 3 inches of bare ankle many of them sport. Obesity appears to be far less of a problem here than at home. Yet, cigarette smoking appears to be much higher. The food has been wonderful. 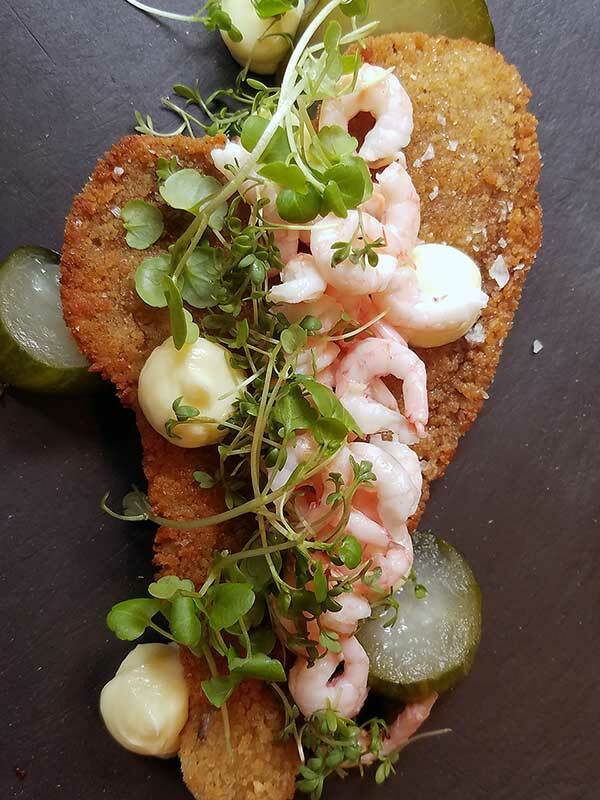 I fell in love with smorrebrod. They describe them as open-faced sandwiches. They really are one slice of bread, topped with fresh fish or other protein, a sauce, fresh herbs (oh the dillweed), and fresh veggies or sprouts or endive. The fish and seafood in general has been spectacular—scallops, shrimp, plaice, monkfish, mussels, I've had them all. Overall, people in Scandinavia have incredible English skills. They speak it like an American, not a Brit. But they usually speak to you in Danish first, because it is rude to assume they know where you are from. All of the things I mention are somewhat superficial differences; the people we met are like our family and friends and co-workers at home. They were warm and willing to share their stories and their knowledge. They are proud of their home. Our trip reminded us of some of things in Spokane that make us proud. In the midst of our review of all things renewable energy, we were reminded that renewable energy sources make up 55 percent of the energy provided by Avista Utilities. Our work around water quality and management of our combined sewer overflows truly is world class. And recycling in downtown Spokane is far easier and more apparent than in the big city of Copenhagen. 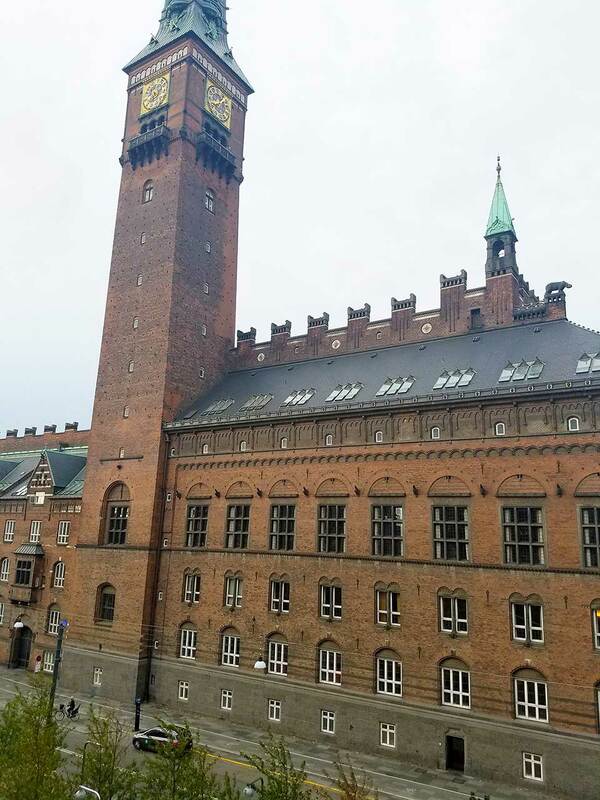 Outside the window of my hotel room is Copenhagen City Hall, where people in black pants and white shirts type on computers in the midst of a centuries' old building visited by hundreds of tourists every day. That blending of new and old—of castles and crown jewels and blockish modern buildings--defines this place and its uniqueness and, really, its approach to its future. The future for Spokane will similarly be defined by who we are and what is most important to us. We will take the information, the statements that have sparked an idea, and the stronger relationships we have built among our own group to help Spokane continue to grow and change. As the Mayor put it, we are looking for "best next." Beyond today's best practices, what is next? Thursday morning we are sitting in a building patterned after a Viking Long House with windows situated near the top of the building's peak that serve as ventilation and thick walls that are part of the passive construction approach that keeps energy usage low. Photovoltaic cells on the roof also harness the power of the sun. We are in the land of the Vikings in Scandinavia, of course. They ruled much of the world between 900 and 1300. Today, we remember the Vikings for their marauding ways, but they also were quite smart. The Viking ships traveled near and far on both rivers and seas, and many of their ships were merchant ships that they used to trade goods with their neighbors. The modern long house is the home of the Samso Energy Academy, a private non-profit organization that has helped the island achieve use of 100 percent renewable energy for heating and electricity. The island has 11 wind turbines, significant small solar installations, and straw and woodchip biomass for district heating systems that distribute hot water to heat homes. Transportation remains the outstanding sector that hasn't completed its transition to 100 percent renewable, and the island is considering creation of a biogas facility that would allow them to run the ferry to the island and perhaps other equipment. Samso Island an idyllic looking place. Green pastures, yellow-painted buildings with red slate roofs, and narrow rural roads leading between small towns and its outlying farms. Getting to the island required a 90-minute ferry ride from yesterday's destination of Kalundborg. While only 3,300 people live there, the island greets some 50,000 visitors a year, with more and more choosing the island as a vacation spot because of its focus on green energy. Achieving its green energy success has required a community effort. Citizens get together at the Energy Academy building to discuss their ideas, to decide what makes sense, and to plan for the future. 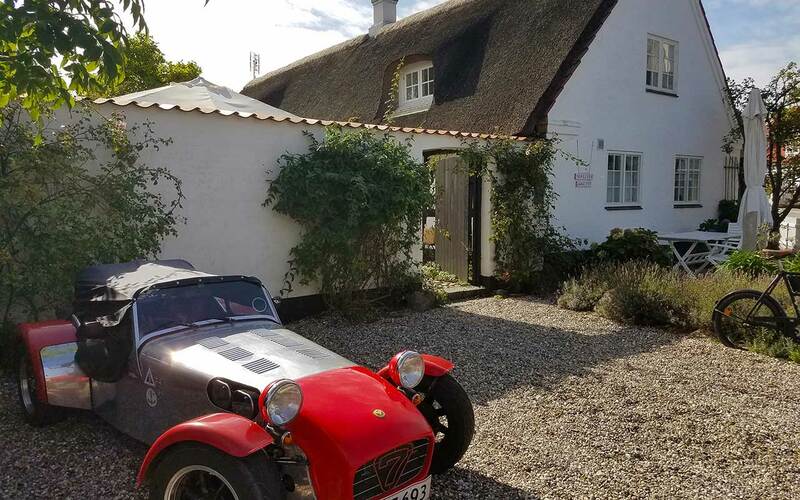 The farmers helped to pay for the wind turbines, farm buildings and regular homes sport solar panels, and biomass using straw was selected to support those same farmers. Some of their current discussion is around the best use of their next investments. Biogas is the next step for their renewable energy journey, they believe, but many citizens also are concerned about their aging population and the loss of young people to Copenhagen and other larger cities. There is also debate here and throughout Denmark about where to locate new wind turbines—in the sea or on land. Sites on land have lost favor in some areas, but placing the turbines in the ocean doubles the cost. The Samso islanders we talked to, though, trust the community process to help guide their home to the future. As always, communities willing to work together can deliver results tailored to the unique attributes of where they live. I guess you could say that today’s trade with the Vikings involved information and some heart. No pillaging. We all know that a positive mindset and common goals can propel innovation and solutions. And, from our presentations today, that sentiment was re-enforced. We visited two different centers designed to promote cross-collaboration primarily between businesses and come up with better solutions than they would on their own. A key tenet of this approach, our hosts reported, is the need for trust. Trust to share data. Trust to share an idea before it has been commercialized. Trust that people and government and businesses really do share a common goal. Our first stop was Blox Hub in Copenhagen, a co-working space and business incubator of sorts that opened earlier this year to help boost urban development. The building is about more than just space overlooking the harbor (although the view is fabulous). Only those businesses willing to work with others in the space are invited to move in. Architects, design firms, engineers, and technology startups were part of the mix to come up with urban solutions. 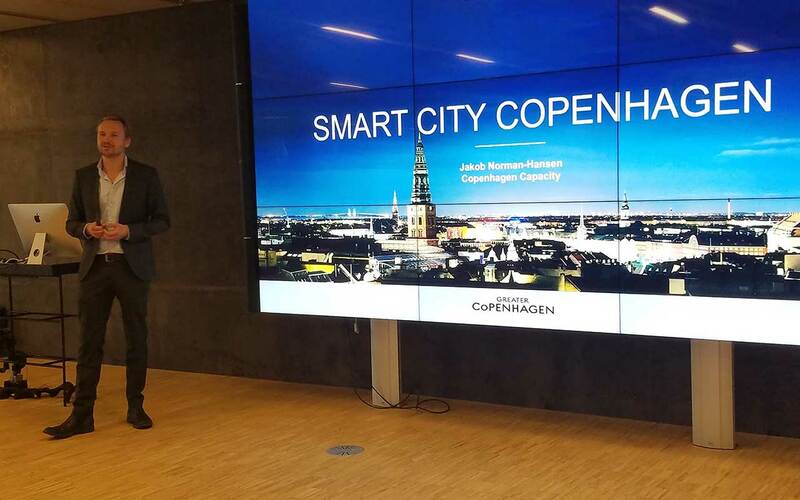 Part of the cooperation is with the Copenhagen Solutions Lab and the Copenhagen Smart Cities initiative. As with all smart cities initiatives, the goal is to harness data to promote and develop things that make urban life better and cheaper and more intuitive. They are working on projects related to street lighting, parking, and solid waste collection on the streets, using the streets of Copenhagen as a living laboratory space. We found our discussion validating for our own Urbanova concept, which is moving ahead on a similar path. From there, we moved out of the City to Kalundborg, about 90 minutes by train to the northwest of the Copenhagen with 17,000 people. 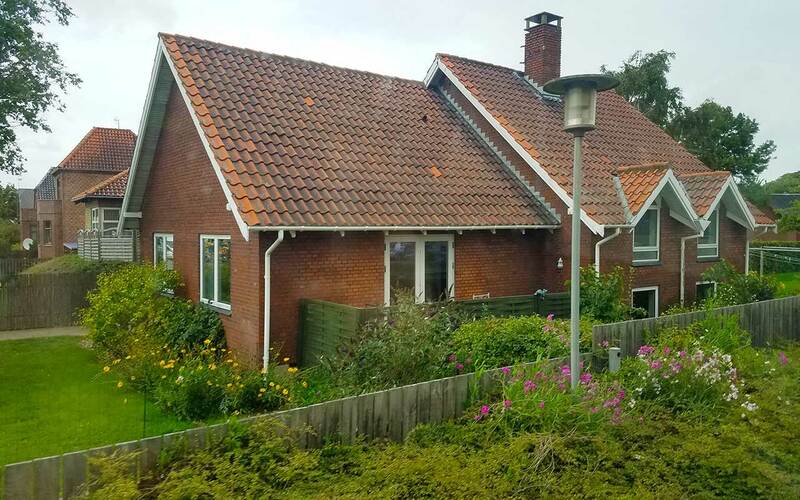 Kalundborg is a town on a harbor with quaint brick homes with pitched red slate roofs. 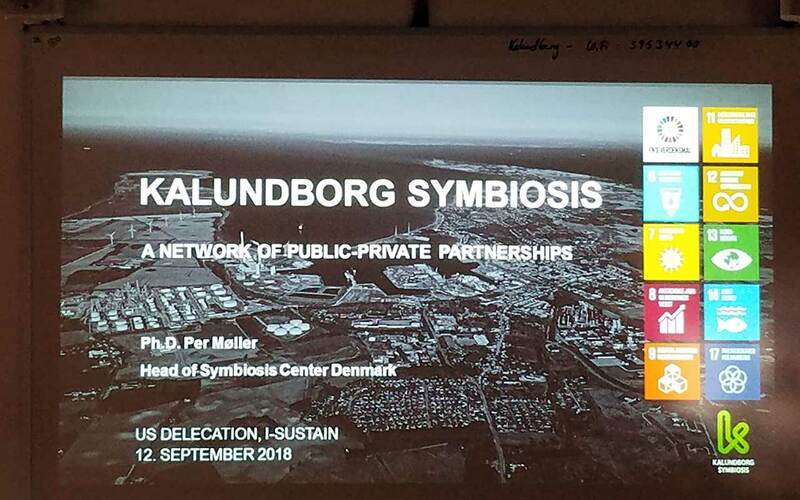 Our destination was the Kalundborg Symbiosis Center. 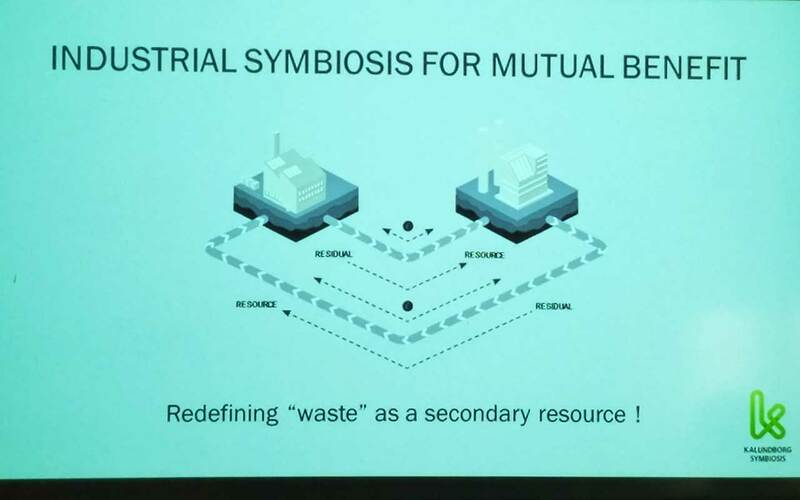 The Symbiosis Center is effectively an industrial cluster that works together to turn waste into value. Effectively, one business’s waste product becomes a raw material or resource for another business. For example, the City's wastewater treatment plant handles a lot of industrial process water that is warm. They extract the heat to help run the district heating system that uses hot water to heat homes. In another example, the City has a huge producer of insulin—in fact the producer of more than half the world’s supply of insulin. The waste products from the insulin manufacturing process is used to make biogas. And so on. The details are probably less important than the basic concept—one man's trash is another man's treasure. And that strategy can lead to less waste and less CO2 emissions from processing new raw materials, while growing businesses and creating jobs. It's one of the concepts behind our West Plains Public Development Authority that’s a joint project between the City of Spokane and Spokane County, where Amazon is building its fulfillment center. Consider the possibilities of a company that could use the ash from the Spokane Waste to Energy Facility or one or more of the recyclables collected at the Waste Management SMART Center, where our single stream recycling materials are sorted. So trust allows collaboration that leads to innovation and solutions. The opportunity is there. A new day and a new country. Today, we headed to Vaxjo (pronounced veck-WA) in Sweden, about 3 hours by train from Copenhagen. 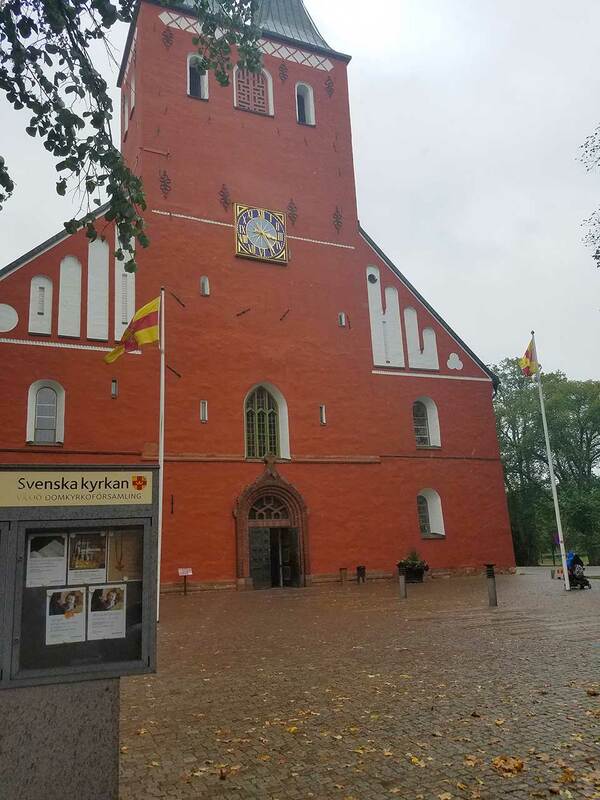 A Lutheran Cathedral dating back to the 12th Century built near the shore of Lake Vaxjo is a community centerpiece. This City of 92,000 people was first dubbed the "Greenest City in Europe" about 10 years ago by CNN, and since then they've continued their work to be a leading green municipality. Surrounded by lakes and forests, this City is making daily decisions to reduce their use of fossil fuels, protect their environment, find creative uses for waste products, take advantage of their natural attributes, and more. Their citizens are separating out their food waste, and the City is using it to make biogas for fuel. 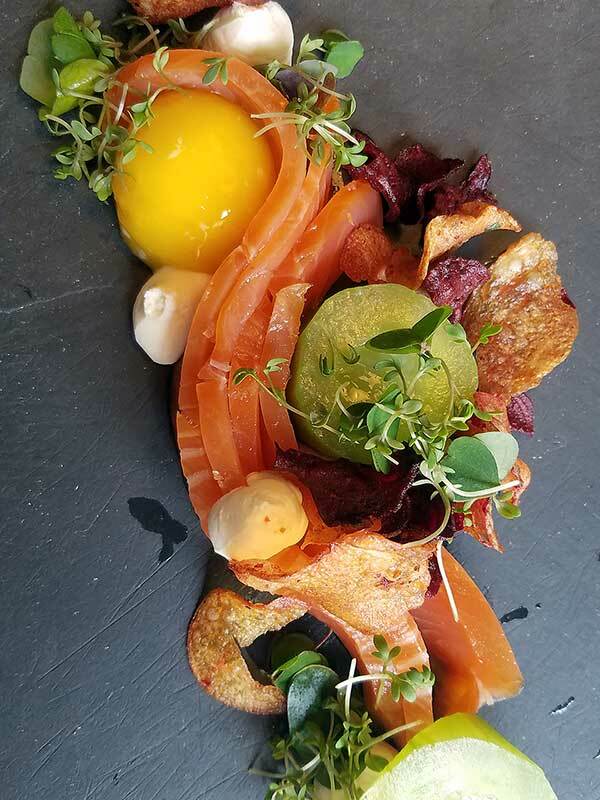 More than 50 percent of the food used in municipally owned kitchens is locally produced or certified organic. The City has kitchens in schools, day cares, and senior centers, among other places. Vaxjo reduced its CO2 emissions per inhabitant by 57 percent between 1993 and 2016. Their journey to this point, however, isn't just about a tremendous desire to be green, but in many ways was driven by practical needs and the quest to provide a healthy place to live for their citizens. Consider the work to bring back Lake Vaxjo from near death from hundreds of years of pollution, including sewage, phosphorus and other pollutants. This work started decades ago—when the green, smelly lake was not a downtown attraction. They dredged polluted sediments, added stormwater retention ponds, and got rid of bottom-feeding fish adding to the lake's problems and replaced them with more desirable species. Today, the lake is a center of recreational activity and a point of community pride. Meanwhile, the oil crisis of the late 1970s pushed Vaxjo to work on changing its energy mix, reducing its reliance on fossil fuels. They developed a biomass power facility that uses wood waste as its fuel source. The biomass facility provides energy in two ways—for electricity and to run a district heating system. The district heating system involves sending hot water to about 9,000 homes and businesses that use for space and water heating. 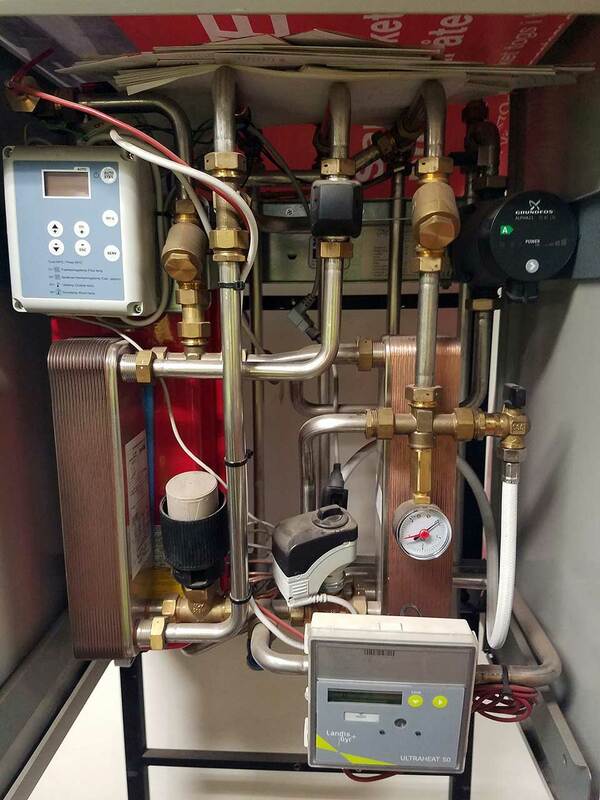 Customers have a heat exchanger to utilize the energy. Such a heating system can provide more affordability. 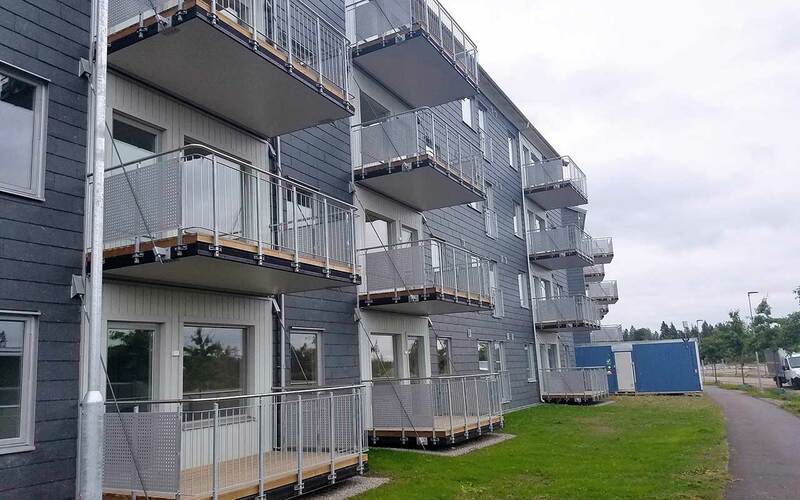 Another answer for affordability comes from attached housing created using modules from BoKlok, a joint venture between building developer Skanska and Ikea. The housing is made up of rectangular pieces that contain different elements and can be placed together in different way, kind of like Legos. 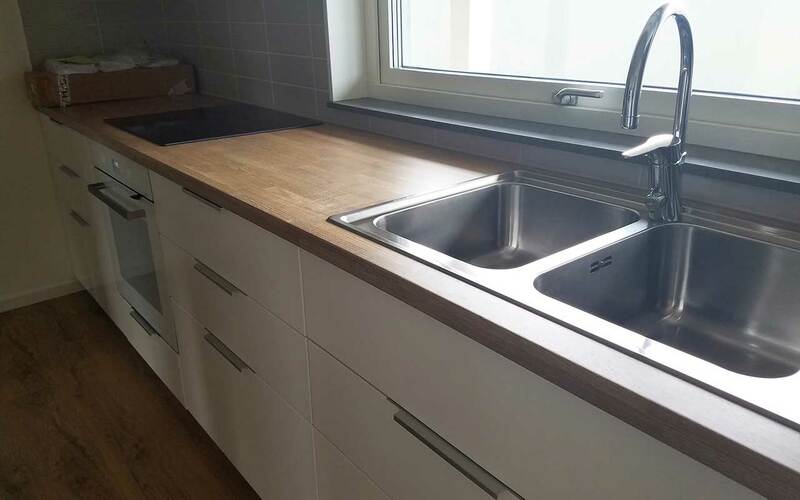 The company's goal is to create housing that is 25 percent less than other comparable housing. Other housing is taking advantage of nearby forest products. Our visit included a look at buildings up to seven stories using cross-laminated timber (CLT). Regulations in Spokane currently limit wood construction to 3 stories because of fire concerns but CLT provides additional fire protection over other wood construction. The construction we saw also includes passive building, an approach using thick walls and other techniques to avoid the need for a heating system. Our brains are full. Our ideas are generating. No surprise, we spent our day moving from destination to destination by bike. Within the City of Copenhagen, more than 50 percent of commute trips are made by bike. The bike network connects throughout the City, taking many forms—cycle tracks and striped bike lanes combined with separate bike traffic signals, blue painted lanes through intersections, and an unspoken etiquette between cyclists and pedestrians. Motorists, meanwhile, seemingly understand that each cyclist means one less car on the road, vastly reducing the congestion on their daily routes. That new connection helped to transform an area to be a more desirable location to live. But that's not the only transformation we saw today. 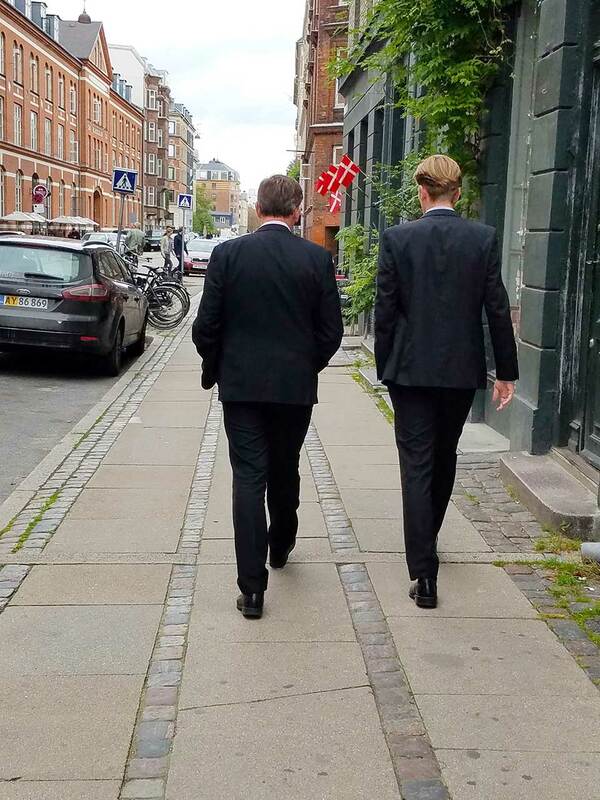 We spent our lunch in a former shipping area that the City of Copenhagen would like to see developed, but so far a vision or plan hasn't been developed. As an interim solution, the City has allowed business owners to repurpose shipping containers and bring in trailers to create a diverse food court with some additional retail shops and recreational opportunities. The brightly colored shipping container food court seemed to tie in nicely to our trip to Copenhagen's brand new Waste to Energy Facility, which handles about twice the amount of trash as our Waste to Energy Facility in Spokane. The facility looks surprisingly similar on the inside, except it includes natural light and high ceilings. Ceilings high enough to include a ski slope on the roof, which is still under construction. We found this approach similar to our commitment at the City to deliver multiple benefits to citizens when we construct infrastructure projects—like the plaza we will build over the CSO tank that’s being constructed next to City Hall. 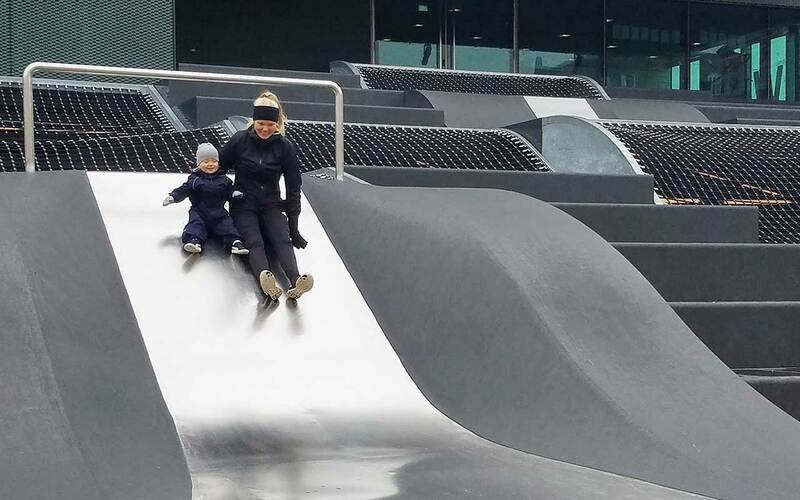 The Copenhagen WTE roof also will include bouldering, a climbing wall, hiking, and a view spot. It’s transforming how their citizens think about industrial sites and infrastructure. The final transformation of the day was found at dinner, where we ate at a repurposed grain silo. 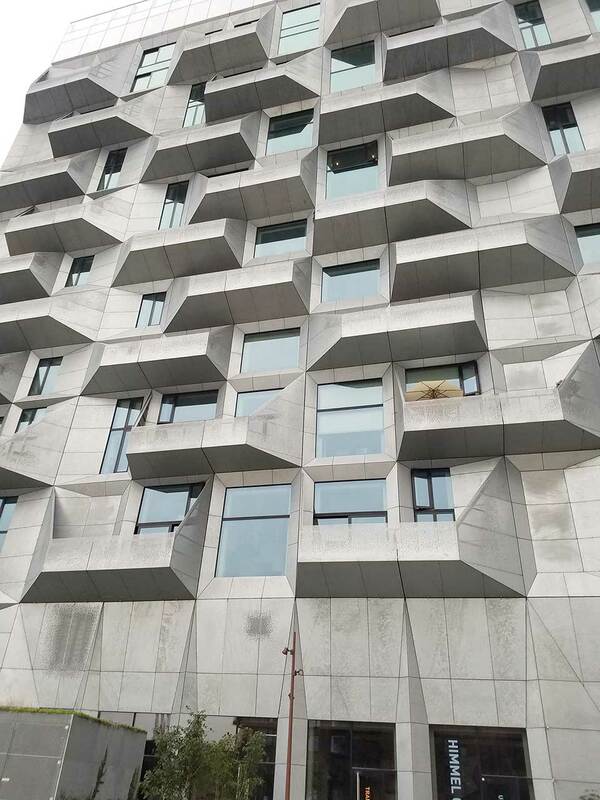 Sporting a new façade and a refined interior, the silo serves as residential housing with a retail gallery location on the bottom and a restaurant on the top. The connections and transformations we saw throughout the day got us thinking about what else we could do in our community. What are the assets that can truly be something different and innovative while supporting our future economy? We are in Copenhagen, Denmark—arriving through various configurations of flights through different cities. Our knowledge exchange tour officially gets under way later this afternoon with a little background about what we'll be seeing and a welcome dinner. But we've already learned a few things through a little exploration. Denmark is made up of a peninsula that connects to Germany and many islands, only some of which are inhabited. It is the smallest of the Scandinavian countries and its total population is about 5.6 million people. 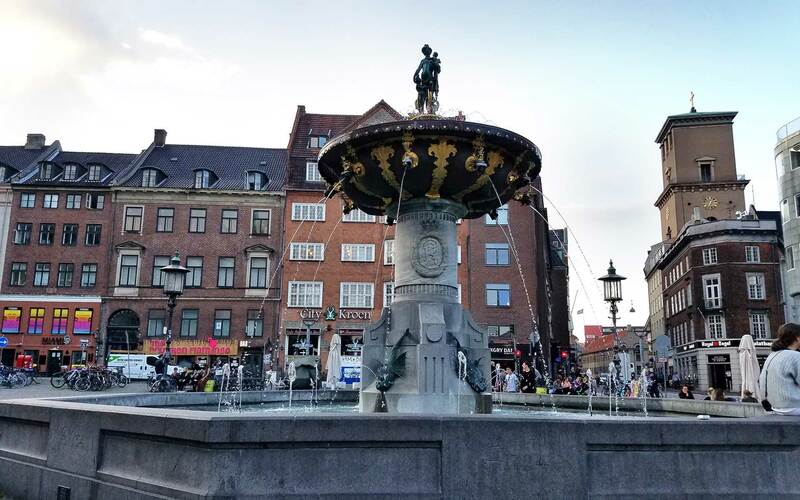 Its largest city and capital, Copenhagen, has 1.2 million people and is found on the island of Zealand. The City is a mix of old and new. Stately buildings and historic fountains are found next to fast-food chains we would recognize and hip eateries and shops. 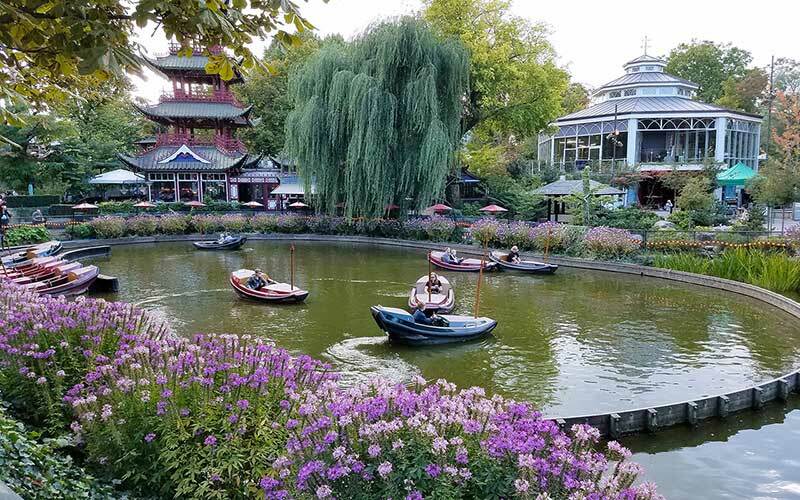 We walked through the famed Tivoli Gardens, an amusement park in the City's old center that recently celebrated its 175th birthday. Copenhagen is farther north than Spokane but outdoor cafes abound even with a bit of September chill in the air. (We are expecting temperatures in the mid to upper 60s with some rain for the week.) Some outdoor eating areas have heaters but many go without, but the tables are full of people. Bikes are everywhere—speedy road bikes, electric-assist bikeshare bikes, and ordinary looking ones with lots of baskets to hold to a few groceries. Wide bike lanes line the major streets in the heart of Copenhagen's downtown. Pedestrians stay out of the way, with their routes often lined with basalt cobbles. We came to Scandinavia because of the focus on sustainable practices. In our research, we have discovered that Denmark already gets more than a third of its electricity from wind. 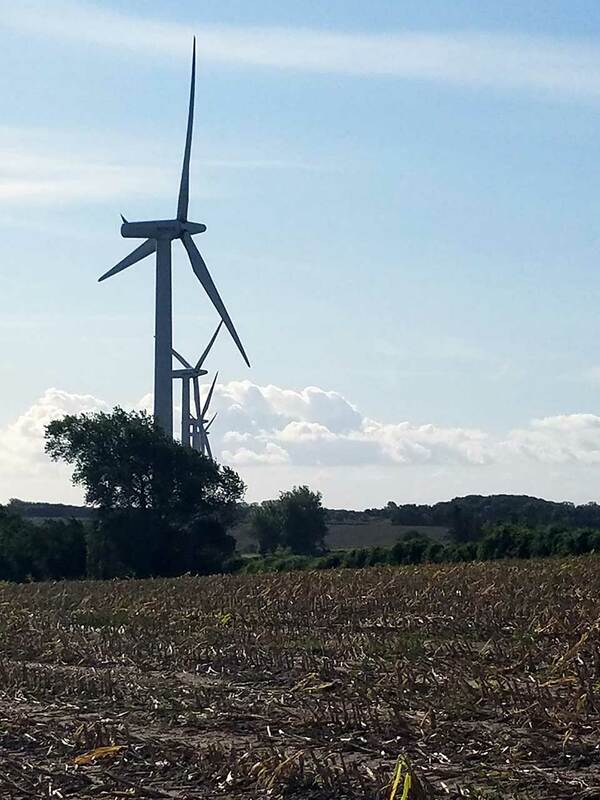 The Danes are major exporter of wind turbines, and they have aggressive goals to get to 50 percent power from wind in just a few short years. Sea-level rise is a serious concern for Denmark. Its highest point is a mere 560 feet above sea level, and no part of the country is more than 30 miles from the sea. The scene so far is interesting, and we will use that backdrop to tell you about our additional experiences as the week progresses.